ClintonCoHumaneSociety.org: SKIDDLES LOOKS LIKE A MOVIE STAR! OUR THANKS FOR GIVING HIM A WONDERFUL HOME. SKIDDLES LOOKS LIKE A MOVIE STAR! OUR THANKS FOR GIVING HIM A WONDERFUL HOME. It has been almost one year since we adopted Toby (a.k.a. Skittles) from the Clinton County Humane Society. He has been such blessing to our family...what a great dog!!! 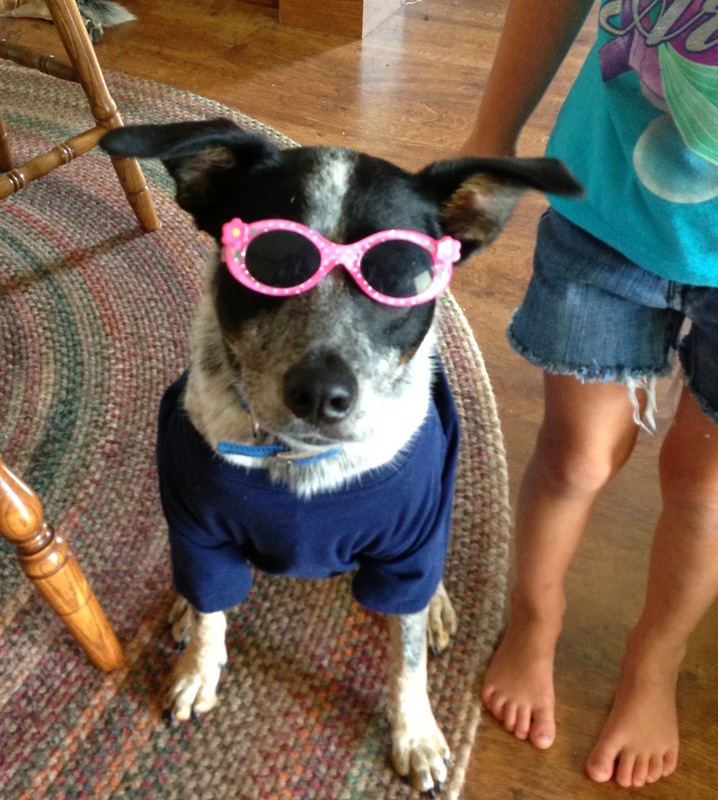 He is a very smart dog and is GREAT with our kids....he even lets them dress him up (as you can see in the one picture I have attached). I just thought I would send an update to let you guys know how he is doing.